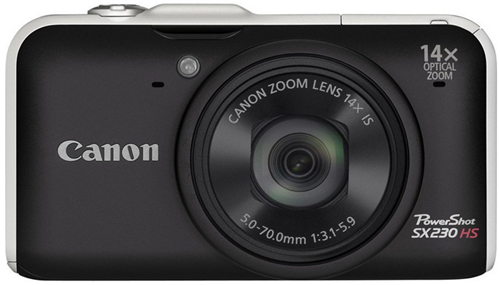 Amazon has the Canon PowerShot SX230HS 12 MP Digital Camera with HS SYSTEM and DIGIC 4 Image Processor (Black) for $279.99 with free shipping. Fantastic price for a compact digital camera with 12MP CMOS sensor, full 1080p HD video, GPS tracker, 14x Optical zoom with OIS and a 28mm lens. It has a 4.5 star rating.